This years line-up for The Edge Festival (formerly known as T on the Fringe) has been announced. The headliners are David Byrne , of Talking Heads, and proto-punk legends The Stranglers , and among the 18 acts announced are indie stars The Bluetones , Edinburgh band Broken Records and edRock.net favourites Frightened Rabbit and Malcolm Middleton . DF Concerts promise us that there going to be around 30 events in total, plus support still to be announced, in the festival that runs side-by-side with the Edinburgh Fringe to bring us the best music over the month of August. 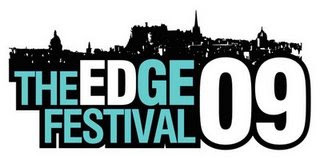 Tickets are available now from Gigs in Scotland or by calling 08444 990 999, and you can sign-up for the latest information at The Edge Festival.